One of our recent interview coaching clients expressed to us how she believes ageism was preventing her from landing a job. 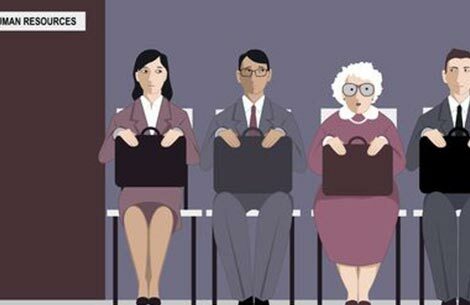 So, she hired us to help her beat ageism in her interviews. She wanted to outshine the millennials (aka beat the kids). We learned that she was reaching out to her vast network, all on her own, to find people at companies where she wanted to work. She had been landing interviews since November. And she was making it to the final round of 2-3 candidates, but would not get the offer - always seeming to lose the offer to a younger candidate. Has to be ageism, right? We did an initial analysis and had a conversation with this client through our Interview Mastery System, and we determined she was not selling herself as the best candidate to choose. She was subconsciously resting on her laurels a bit. You know, because she had accomplished so much, she didn't want to brag and figured interviewers saw how awesome she was. And they did see how awesome she is. After all, she consistently made it to the final rounds. I believe, if it was truly ageism, where the company didn't want to hire her because she was over 40, why keep bringing her back? Why interview her in the first place? Her resume and her appearance didn't convey she was 28, so why keep bringing her back, if ageism was really at play here? Her not selling herself as the best choice was at play here. We learned our client was semi-apologetic around career pivots she made and choices she made to balance life and career. She was giving off the impression that she wasn't as committed, because she made choices to not work 24/7, when every iota of her background showed otherwise. Frankly, she worked smarter. Working hard doesn't always yield the same result as working smart - as we who have been around the block a couple of times know. However, she wasn't selling the working smarter angle. Instead, she was sheepishly selling herself in a mediocre way hindered by the self-judgment that she didn't want to work 90 hour weeks anymore. The result? She was coming across as not as passionate about the target job since she was not confident about her choices. When all things are equal, the candidate who demonstrates passion and desire for the job wins. And that's where she was falling short - and she wasn't even aware of it. Until we pointed it out for her and then gave her tools to sell herself and her achievements - to be confident about her path and to connect the dots for the hiring manager as to why she was the best choice. She said to us, "I now feel ready for the next interview." Her confidence is now boosted tremendously (her words) and she has the road map to getting the offer.